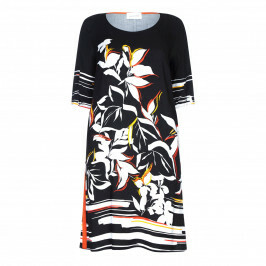 A print dress is always stylish and this floral print with clashing pinks and reds on a black background by Elena Miro is the epitome of easy chic. 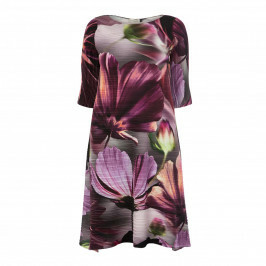 Perfectly proportioned with a scoop neck and half sleeves it can be worn a multitude of different ways. Pop a jacket on top to liven up your business look, add a hat and heels for a special occasion or simply wear it with black courts on the weekend. 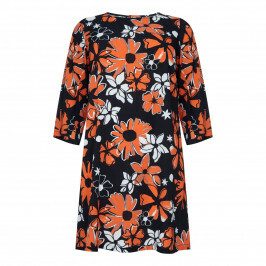 Floral red print scoop neck short sleeve dress. 100% viscose. Wash at or below 40°C or dry clean. Do not tumble dry.